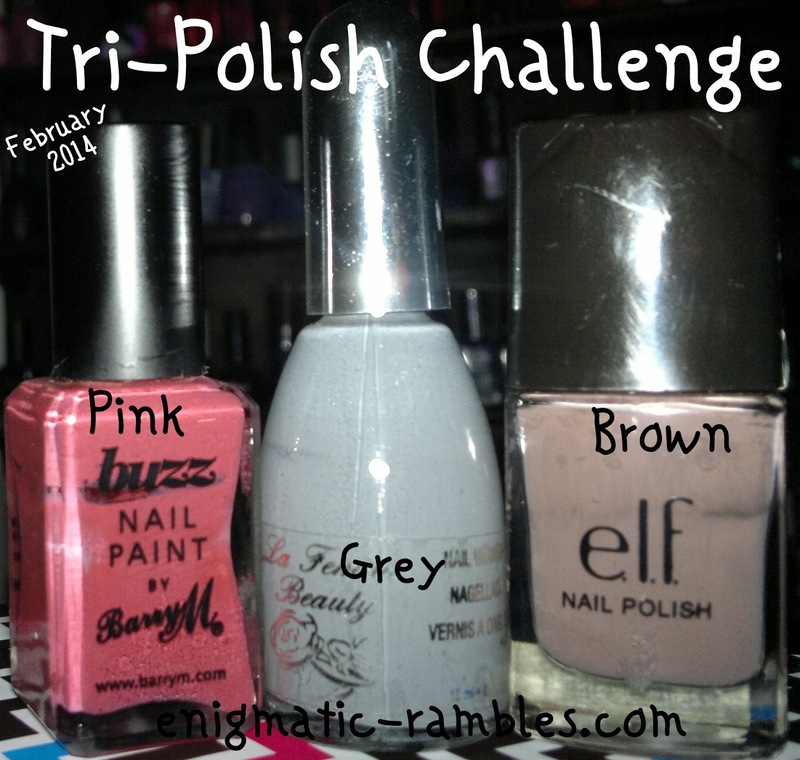 This month the colours are Pink, Grey and Brown. If you want to join or want to know more about this then you can do here. I chose to use Barry M Buzz, La Femme Grey Cream 100 and ELF Smoky Brown.